I’ve participated in the A1A Marathon weekend the last two years by running the half marathon – and I’ll be running it again this coming February! This year I’ll be participating as an ambassador for the race which means I get to share a discount code with you! Take 15% off your race registration for both the A1A Marathon and A1A Half Marathon with code: KRISTINA (all capitals). Sign up HERE. I can’t wait to earn this beautiful medal! If you have read this blog for a week or longer you’ll know I am Fort Lauderdale biggest fan. I’ve been a Fort Lauderdale Beach resident since 2012, which just so happens to coincide with my journey as a runner. I don’t think it’s a coincidence that I started running right around the time I moved here. It’s hard to stay indoors when there is such great scenery all around you. The A1A Marathon and Half Marathon course is close to my heart since I train on it every week. I could run it with my eyes closed (which tbh everyone probably could since it basically just requires being able to run straight ahead along the coastline). 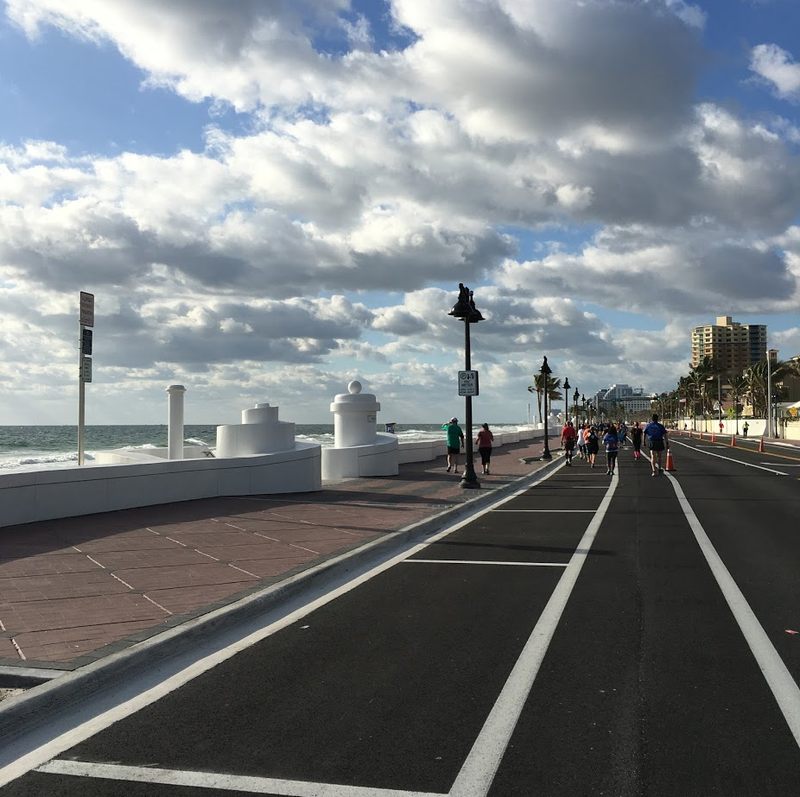 If you like flat races without many turns that provide beautiful, inspiring views the A1A Marathon and Half Marathon is a great race for you! 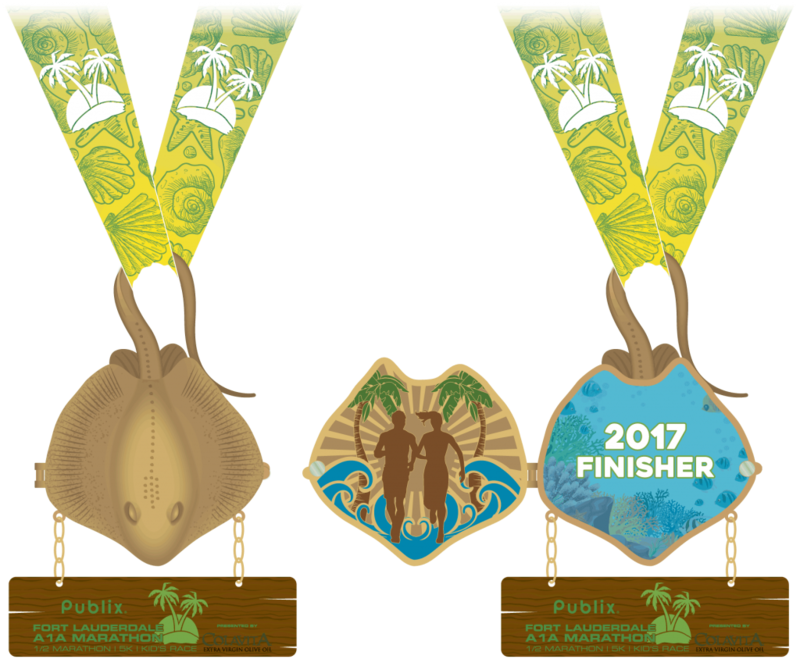 Don’t forget to take 15% off your race registration for both the A1A Marathon and A1A Half Marathon with code: KRISTINA (all capitals). Sign up HERE. If you have any questions about this amazing race leave me a comment below or email me runkristina@gmail.com! Next Post 5 Big Updates (+New Vlog)! I love Fort Lauderdale! my fiancé used to live there and we used to go visit. We were supposed to go this month, but can’t go. I would love to run the A1A half marathon one day! It’ s on my list! Those metals are friggin GORGEOUS! SO PRETTY! If I wasn’t so sore — I’d be signing up! I didn’t realize you were local?! You won’t be sore come February! Sign up, sign up! This race ALWAYS has the best race medals and the course is perfect! Stunning medals and view! Sounds like a great race! Love the medals!! Congrats on the Ambassador gig! I can’t even imagine what it would be like racing in Florida – gorgeous, but I’m sure it would take me awhile to get used to the heat! You sure can’t beat that view of the ocean though!! Hahah yes I bet it would take a little bit of time to acclimate to the heat since our winters aren’t nearly as cold as yours! On race day in Feb it could be anywhere from 60-85 degrees! Wow – that’s great that they gave you a discount code. If I lived closer, I would totally take advantage. I may have to put this on my list of races to travel to someday. Sorry to say, I don’t see A1A popping up on my plan anytime soon. Especially after running in mexico, beach front is just not my thing. More positive side, so cool they asked you to be an ambassador, very good pick on their part. Second, the medals are super cool.